A Wilber man has been charged with nine felony counts of unlawful intrusion after deputies allege he planted a hidden camera in the women's bathroom at the Dorchester Farmers Cooperative, according to court documents. 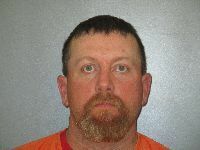 Hagemann, 36, was taken into custody by Saline County Sheriff's deputies March 20 in the case. On Feb. 18, a female employee of the co-op found the camera plugged into an outlet and later reported it to the Saline County Sheriff's Office, according to a search warrant affidavit.